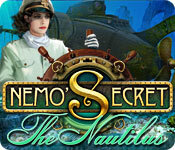 Nemo's Secret: The Nautilus is rated 3.6 out of 5 by 23. 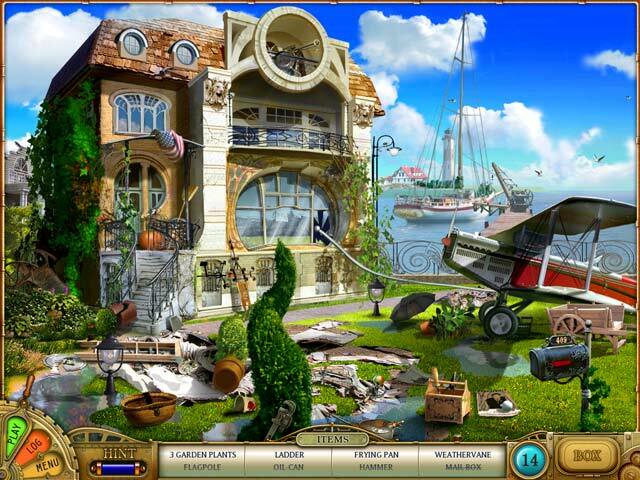 Rated 5 out of 5 by cumin65 from Hidden Object game This game was very enjoyable. The artwork was pleasing to the eye and the music provided the mood. I think the music played an important part in this game because it put the player in the right mood. 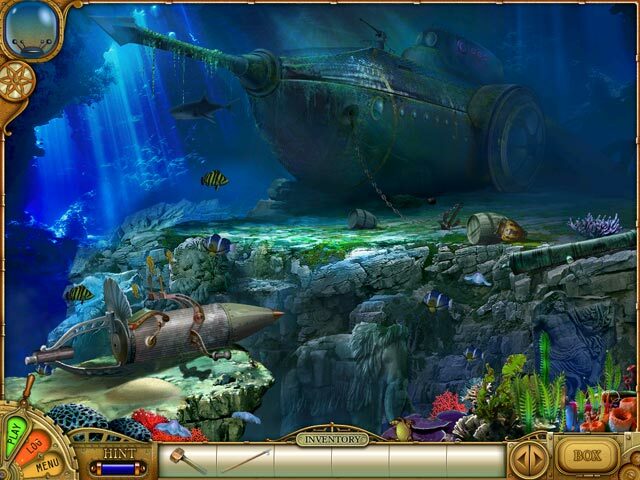 The game took place in many parts of the submarine and it was fun looking for the hidden objects. The artwork was very artistically done and I thought the game was rather addictive. Keep up the good work. Thank you once again Big Fish! Rated 5 out of 5 by rugspot from Great Great!!!!! This is my second review of the game of this kind. Hope to see more. This developer should do more. Not sure if Big Fish, reads these reviews sure hope they do. The talent of this developer surpasses so many others. Take a chance on this games you won't be sorry. Rated 5 out of 5 by CoriesCastle from WOW REALLY USE YOUR BRAIN! The graphics are amazing! The hidden objects are hard, but not that hard that you can't find them, and you have hints. If you want a really interesting game, and get caught up in the story this is the game for you. I hope they continue the story line for years! DID I MENTION THE GRAPHICS ARE THE BEST I HAVE EVER SEEN! Rated 5 out of 5 by coha92 from Cool game! I love this game! This is the first game out of 180 I played so far, where after finding the hidden objects they don't disappear but rearrange in the wright place. I didn't' notice in the beginning but later on I was following the objects to see where they were going to be placed. The story line and graphics where beautiful!!! Rated 5 out of 5 by hotmomma1422 from 2 thumbs up from teen son! he finished it with joy. The one place he needed help was the code breaking machine.driving the nautilus was coooool! He liked it a lot and with a little help from the bigfish forum walk through he was able to complete it happily. Even replays are fun and boisterous! Rated 4 out of 5 by arnold1049 from OLDY BUT A GOODY I really enjoyed this game. So much so, that I went looking for the sequel, Nemo's Secret: Vulcania and bought it right away. This game is very linear and has tons of HOS. There wasn't a whole lot of reading to do, and it all functioned as moving the story along. There was always something to do and it was hard to find a point at which to leave the game for a later time. It was kind of like one of those books you can't put down until it's finished. The storyline is about the granddaughter of one of Captain Nemo's old friends being enlisted into a search for and recovery of the Nautilus. Most of the HOS are located in the Nautilus after it has been found. The graphics were clear and bright; this is not a dark and dreary game and has no supernatural characters. The HOS at times were difficult and so were some of the puzzles. The skip button and hint buttons recharged fairly quickly. There are no extras in this game, but I didn't feel that was a mark against it. I was very satisfied and thought I got my money's worth out of it. At the end, I was not ready to stop playing and I'm glad there is a sequel that I hope is as good as this one. Rated 4 out of 5 by grunny50 from Nice game I am playing this again for the third or fourth time since purchasing it. I really enjoy the scenes with the clouds blowing across the sky, the wind ruffling flags in the background, bubbles floating toward the surface in the underwater scenes. While I really like the game, I don't enjoy the "click to continue" feature at all. For someone who likes to keep moving, this tends to slow me down if I forget to "click" and the game won't proceed until I remember. Nice game, though. Rated 4 out of 5 by Rudygeegee from Pretty Good Game This is a beautiful game with a blend of puzzles. I normally don't ask for any help to finish a game, but admit I had to have a little help on some of the puzzles. Which means I'll play it again! Good game. 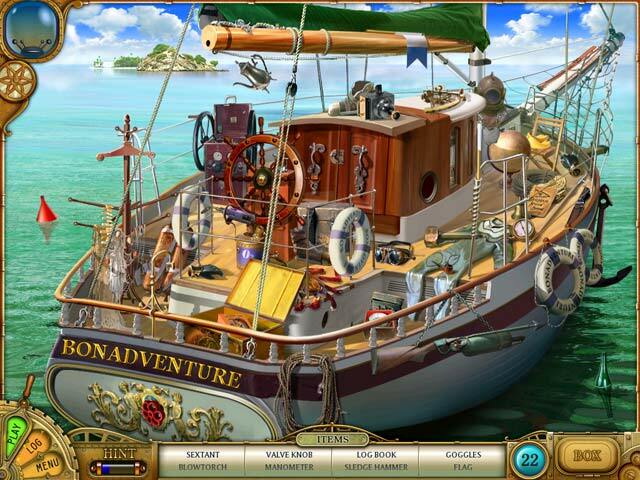 Go on a fun and exciting Hidden Object Adventure and find Captain Nemo’s legendary submarine, the Nautilus!